Sensory overload. Relish the exquisite dash, with its LCD-embedded switch panels, the feel of the Italian-made Isotta steering wheel and the new Shift-by-Wire Throttle, the look and visibility of the Medallion gauges, and the sounds of the electronic throttle acceleration. 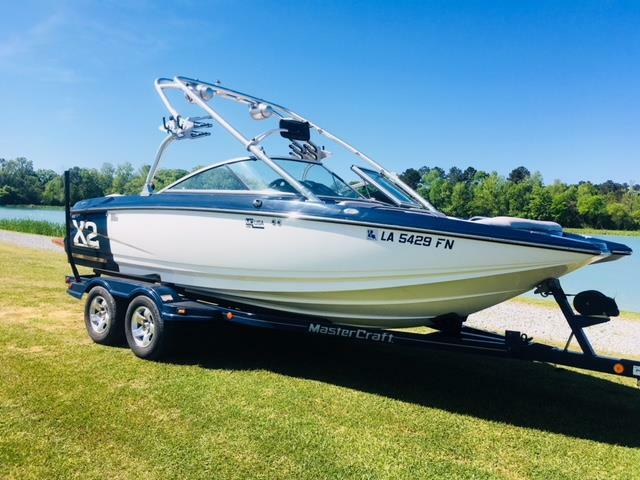 Or share the wow factors of this dynamic performer with 15 of your closest friends, because this boat warmly accommodates up to 16 people and all their gear. The lounge, designed to stretch limo proportions, has LED interior lighting with laser-cut side panel pieces that spill back-lighting in to enhance cozy conversations during the trek back to the dock after a long day on the water.